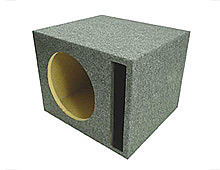 Round Sealed Round Vented Square Sealed Square Vented Rear Fire 6" x 9"
ASC ECO Series are our entry level enclosures however there's nothing entry level about the construction. 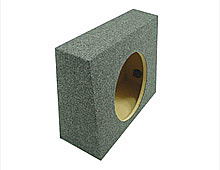 All ECO Series enclosures are constructed from real 5/8" MDF. 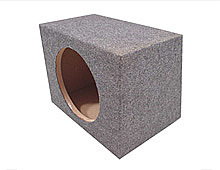 The boxes are all glued, nailed and caulked in production to ensure long musical enjoyment. 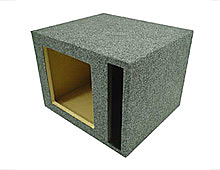 Every enclosure also features high grade binding post type terminal(s) and high grade carpet. 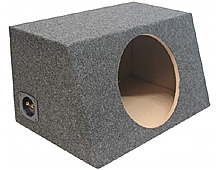 Also on every vented ECO Series enclosure the ports are rounded on the backside and the carpet is recessed to avoid port noise. 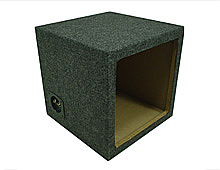 This attention to detail makes our entry level enclosure better made than many of our competitor's high end enclosures.